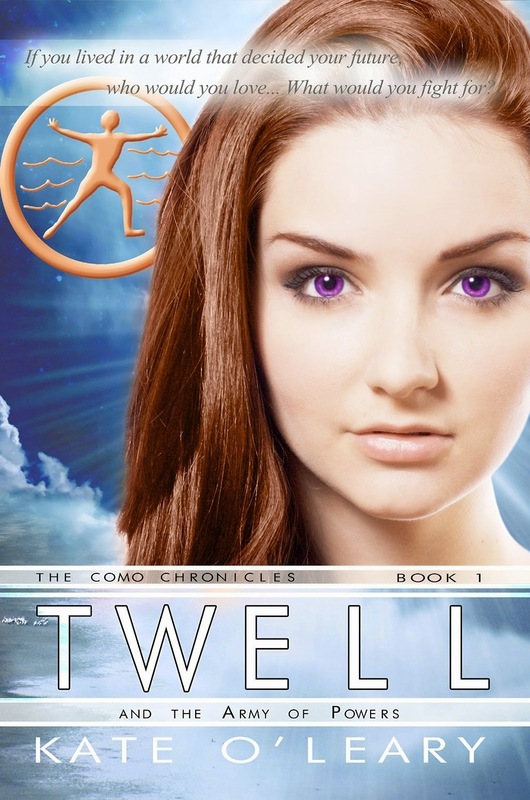 Twell lives in the new world of Como, and has always neglected her telekinetic gifts, desiring to be ‘normal.’ Her biggest drama in life is having to be genetically partnered with a boy she doesn’t know or love by her next birthday. Unfortunately she loves her best friend, who loves the girl she hates most, and Twell is left frustrated & heartbroken. When Twell is requested alongside several other teens to develop her skills for the protection of Como, she reluctantly agrees to the training, and finds herself thrown into all sorts of mental and physical challenges. Handsome, charismatic Jonaz, is gifted with the power of healing. According to Twell he’s an infuriating prat who delights in provoking her. But first impressions have always been her downfall. When Como is attacked, life as Twell knows it is changed forever, with devastating consequences. With no choice but to fight, Twell risks her life to protect those who have survived, coming up against unexpected dangers she could never anticipate. Will she survive, and if so will she be matched to a stranger when the one she is growing to love is destined to another? Kate O’Leary, has loved reading and writing ever since she was young enough to try and get through the back of her cupboard into Narnia, or through her mirror into Wonderland! In high school she entertained her homeroom reading out chapters of her first novel ‘Miranda’ about a teenage girls adventures with her horse Rusty. After school Kate studied Children’s Literature, and her first drafts of Twell were awarded in writing competitions. Kate’s writing interest is firmly embedded in dystopian fantasy, being continually fascinated with future direction of our world and the concepts of free will and moral vs. lawful obligations. Twell’s adventures will continue to explore these ideas in the Como Chronicles Trilogy. Kate lives in the beautiful Adelaide Hills of Australia, surrounded by rolling hills and wineries and horses, as well as some good rocks to climb when she feels like scaring herself! Giveaway: There is a giveaway for this tour. A $25 Amazon/B&N Giftcard or a Book Depository shopping spree of the same value, OR a digital copy of Twell! Open Internationally. Ends 8/15. Void where prohibited.